Bezoza said she personally has handled many racial discrimination cases, but none having to do solely with the style of hair. Because the school receives some federal funding, it is held accountable to federal non-discrimination Title VI rules, Bezoza argued, which in her opinion, the school has violated. He also said that the hair policy is “very clear” and parents accept the rules before registering their children. “Most parents welcome a uniform code,” he said. But Jalyn’s mother, Mariana Broussard, a pharmaceutical representative, said her son’s haircut is not a faux hawk, it’s a “modern fade,” also worn by Michael Strahan, the talk-show host and former New York Giants defensive end. As she tells it, her husband, Errol Broussard, a chef, took Jalyn and his 8-year-old brother, Noah, on Dec. 17, 2014 to get new haircuts. “They were so excited, they wanted to look like the Michigan basketball team,” Broussard said. Jalyn got the fade, and his brother went bald. Mariana Broussard took pictures of her son's classmates who had haircuts similar to Jalyn but who were not sent home from school. “It was the first time he got a different hair cut from his brother,” she said. So, she was surprised the next day when she got a call from a teacher to come pick up Jalyn from school because of his hair. “It made me really angry,” she said, adding that over the next several weeks, the school administrators appeared to not want to have to deal with her or find any reasonable compromise. So Broussard took photos of three other students, two white and one half-white and half-Japanese, who have similar styles, and who were allowed to stay in school, according to the complaint. The Asian student, who is in eighth grade and got his hair cut on Jan. 5, the complaint reads, was allowed to celebrate Mass before the “entire school and church community.” Another second grade girl had bows in her hair that were deemed too big, the complaint states, but instead of being sent home, that girl just had a letter sent home to her parents about appropriate head gear. According to Broussard, there are five African-American students at Immaculate Heart of Mary. Included in her complaint, Broussard said that both Jalyn and his brother, Noah, also got “red cards,” or more harsher discipline from teachers in the past, which she says is most likely because of their race. 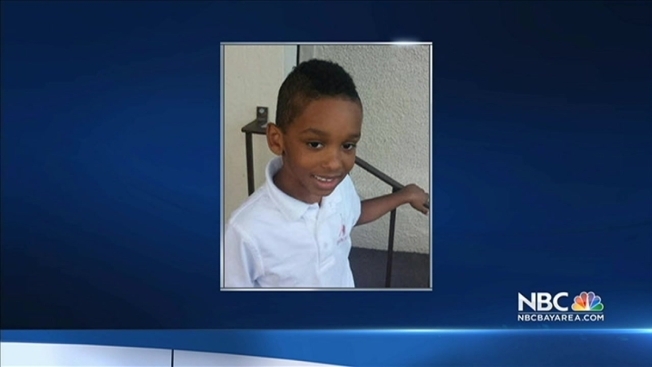 As for what happened to Jalyn, since he wanted to attend the Christmas festivities at school last year, he ended up shaving his head to be able to attend, his mother said. The Broussards pulled both Jalyn and Noah out of the Catholic school in January to attend their neighborhood public school. Switching schools has been an adjustment, his mother said, but overall it’s good. And Jalyn’s hair has grown back.